Cheers, Katherine! I'll put them on my to-read list. How about this line from a movie? "Mother of Jefferson Davis! She's passin' the fox!" There was nothing on telly tonight, so I went through my DVD collection, looking for something to take my fancy. Why is it that whenever I do this, I never seem to be able to find something to watch? Same thing happens when I feel like listening to some music. I scour my CD collection and can never find something I feel like listening to at that particular time. So I turn on the radio and guess what? What's playing on the radio when I turn it on is exactly what I feel like listening to! Funny that. But I did have success this evening, when I happened upon "The Naked Civil Servant," the brilliant film of the life of British high-camp eccentric and raconteur par excellence, Quentin Crisp, based on his autobiography of the same name. "I am one of the stately homo's of England!" "And then I stepped on the ping pong ball! Well, it was just ghastly!" Gloria Upson, in Auntie Mame. That's a wonderful line! I'm thinking that it could have been applied to the late John Gielgud or presently to Sir Ian McKellen. 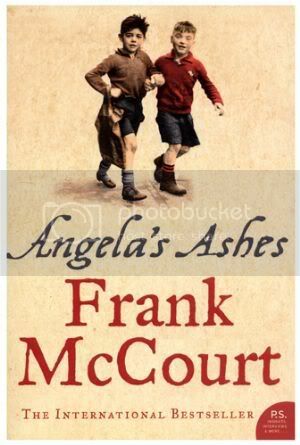 After hearing about Angela's Ashes for some time, I finally got around to buying a copy of the book and read it last week. I regret having waited so long. To say it's about growing up poor in Ireland would be an enormous understatement. I laughed out loud and I wept - sometimes on the same page. Angela's Ashes is an exultation of the human spirit. It is an absolute delight that's left me hanging out for more. Fortunately Frank McCourt (now sadly deceased) has written two sequels - 'Tis and Teacher Man. They are both on my reading list. And I'll be shortly hunting around online for a copy of the movie. I can't recommend this wonderful book highly enough. I totally agree with you on Angela's Ashes, Kerry! I loved that book when I read it, quite some years ago. He's writing about the most horrible childhood imaginable, and with humour! I waited impatiently for the sequel to be released here, (many years before I was confident with internet and on line purchase), and was terribly disappointed when I finally read it. It's nowhere near the first book. It seems to me he wasn't able to repeat that wonderful writing. Thanks for the warning, Sason. I might borrow it from the local library, instead of buying a copy.